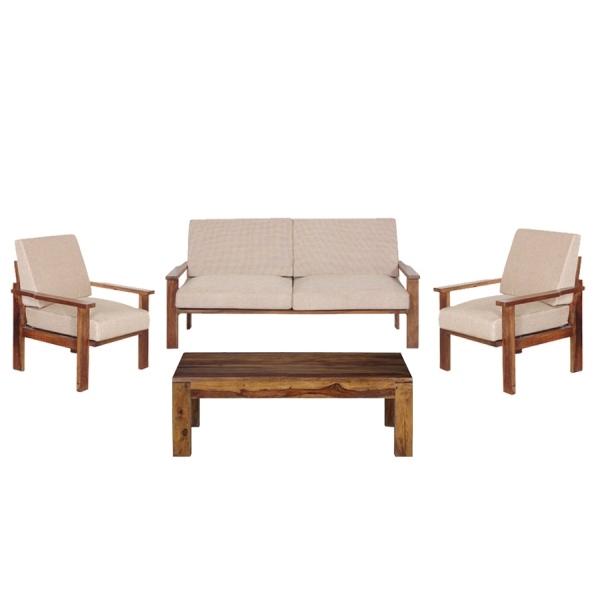 Furnish your home at ease with our package with 1BHK essentials from our premium furniture range. 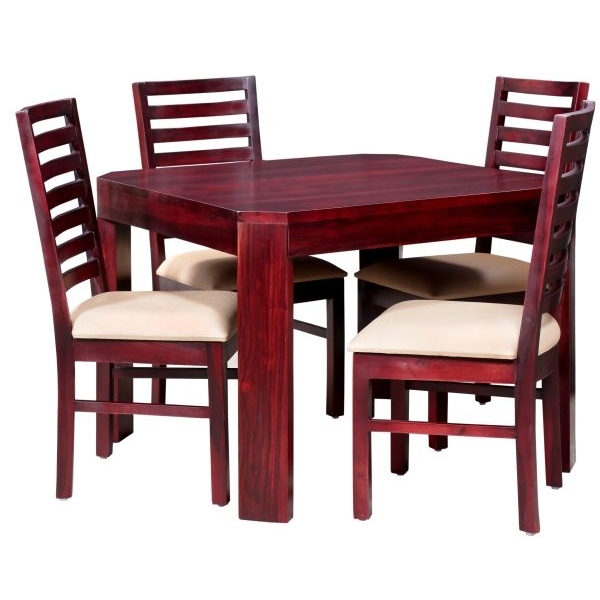 Add luxurious look with our high quality sheesham wood furniture with condition as good as new. All upholstery is provided brand new for your comfort and hygiene. This package is all you need to turn an empty house to a home. 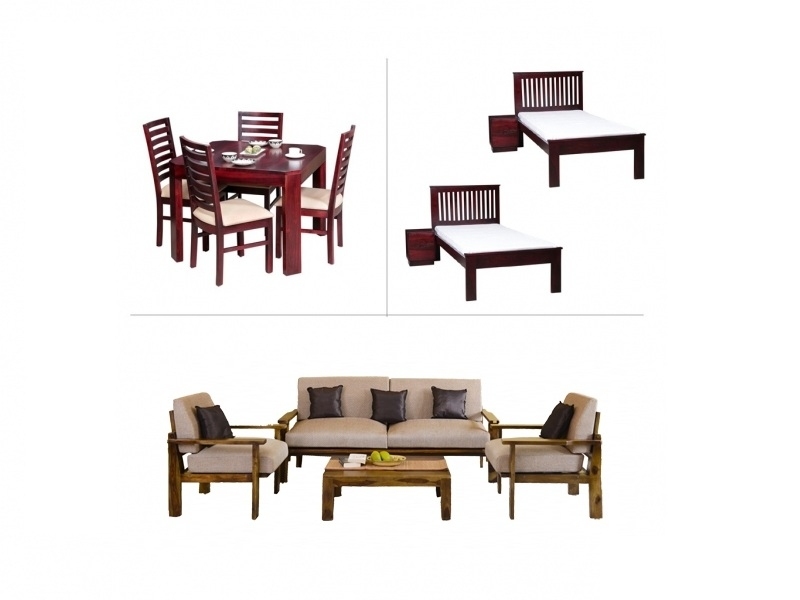 The furniture package on rent includes all the furnishing requirement for Bedroom, Living Room and Dining room. The Bedroom package contains 2 single beds, 1 bedside table and 2 premium quality mattresses. 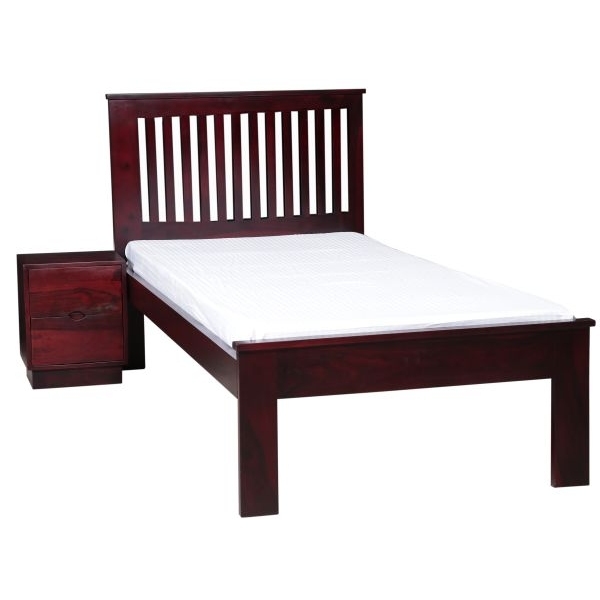 The beds and bedside table are all made from high quality Sheesham wood. You can get this Alexa 1BHK Furniture with Single Beds on rentÂ in Delhi, Gurgaon, Noida, Bangalore, Mumbai and Pune from Cityfurnish with free doorstep shipment.